Shellac Stack No. 107 goes Bob, Bob, Bobbin’ along! 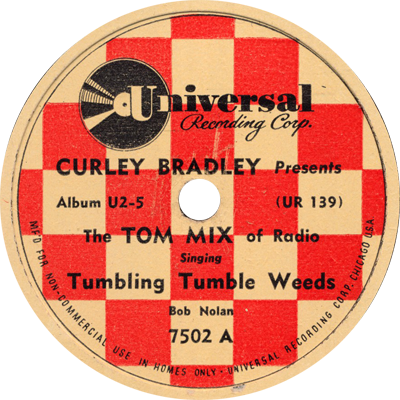 We hear from Curley Bradley — the Tom Mix of radio — along with Bing Crosby, Connie Boswell, Blue Steele, George Olsen, Bob Bachelder, Jimmy Dorsey, and many others, venturing as far back as 1904.